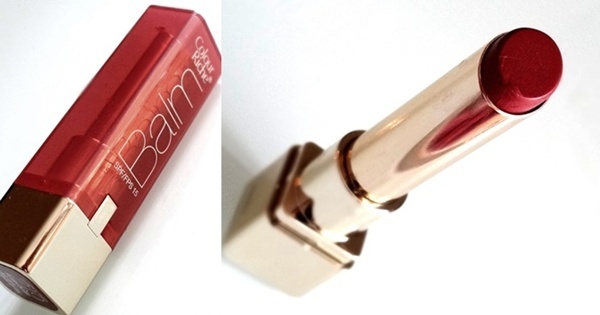 L'Oreal Color Riche Balm($7.95) is a tinted, glossy lip balm that comes in eight shades, packed with Shea butter, Argan Oil, Vitamin E and some sun protection(SPF15). The colors are rather sheer and go on much lighter than how they look in the tube. "Plush Plum" is a plummy pink with fine gold shimmer. The color goes on like a light shade of pink with a subtle hint of plum. On my lips, it looks like a sheer layer of glossy shine and a light wash of color. The texture is very smooth, without being sticky or waxy. I've seen a lot of reviews comparing these to the Revlon Colorburst Lip Butters. In my opinion, this balm feels a little more slick and obviously less pigmented than the Revlon Lip Butter. They also do a pretty good job moisturizing lips, keeping them soft and hydrated. I get about 2-3 hours of wear time and there's absolutely no dryness even after the balm wears off completely. Plush Plum is one of the more pigmented shades from the range so, if you are looking for something with a little bit of color, this is a great shade to consider. Overall, I think the L'Oreal Color Riche Balm is a good, moisturizing lip balm that I like to wear when I'm keeping everything else low-key. I wish it was just a little more pigmented since I like quite a bit of color in my lip products to help cover up the pigmentation. The SPF15 is a great addition that is nice to have in any lip product. I'm also very happy that these don't have the strong scent most L'Oreal lip products have. The scent is in fact very pleasant, something I quite like. 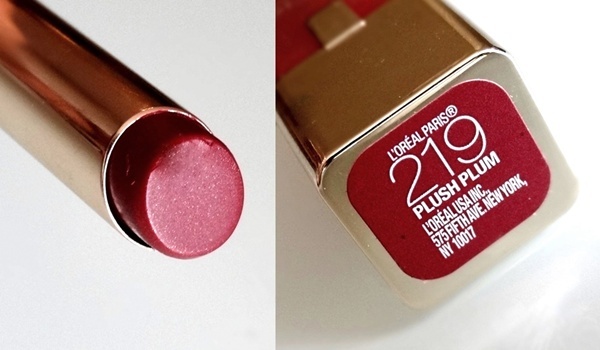 What are your thoughts on the L'Oreal Paris Color Riche Balm in Plush Plum? I haven't tried these yet - everything I've heard, and this review too, is that they just aren't pigmented enough to make it worth it for me. I'd rather have a Revlon lip butter if I want color, and a real lip balm if I want to hydrate my lips. Yup! Quite good especially for someone with super dry lips like me! Doesn't it? I love the packaging..classy!